The App Settings panel allows you to customize each element on your slide. 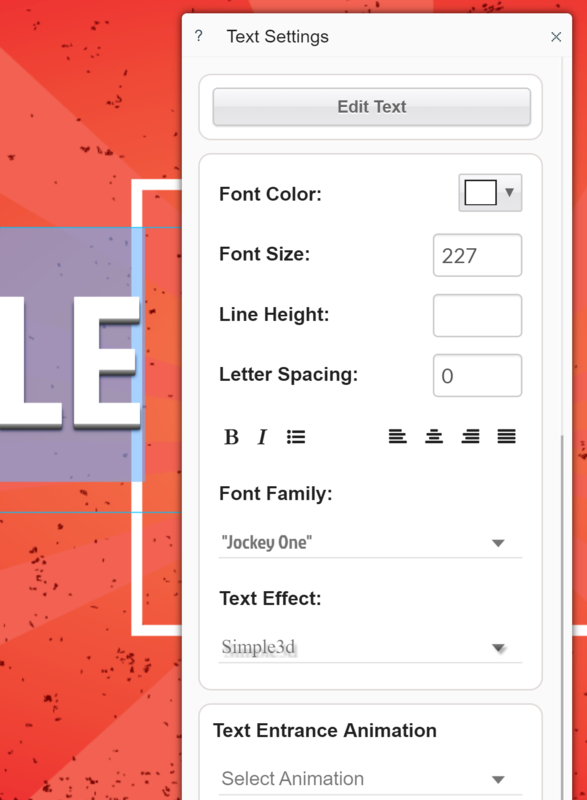 You can change the font colors, sizes, types, add effects such as a drop-shadow, or even add animations. The settings panel will also allow you to access other features of the app, for example, the ability to change out an image on a slide that is already set in a certain position, or change the weather app from Fahrenheit to Celsius. From the Settings panel, you can change the corner-radius, add a shadow, or set the opacity for any of the elements on your slide. Want to add a semi-transparent video overlay on your digital signage? That's easy. Simply add a video through the Vimeo, or Youtube app, then set the opacity by going into the Settings Panel and scrolling to the bottom and adjust the opacity so that the video is semi see-through. The settings panel is the key to letting you customize the content to fit your style.